Known best as the older brother of film actor Ansel Elgort, Warren Elgort became an entertainer in his own right, co-founding the Angler Films production company and directing film shorts titled Calm Dance at First Glance and After the Hurricane. Before beginning his career in the entertainment industry, he graduated from Johns Hopkins University, where he was an honors student and an All-American tennis player. He acted in a 2014 short film titled Bootlegger's Picnic. 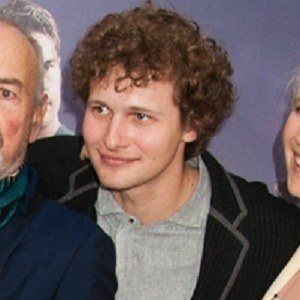 He and his siblings Sophie and Ansel grew up in New York City as the children of opera director Grethe Barrett Holby and Vogue photographer Arthur Elgort. His brother Ansel Elgort is known for his roles in such films as Carrie, Divergent and The Fault in Our Stars.